Strategically wrap your loads to ensure that they reach your customer in as-made condition by maintaining load integrity & wrapping parameters throughout. 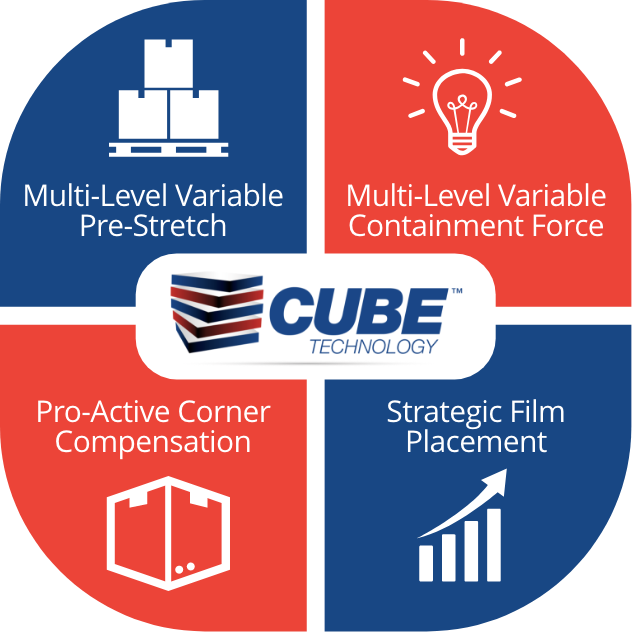 To achieve this, our CUBE(R) Technology addresses four (4) key factors required to successfully wrap your loads. 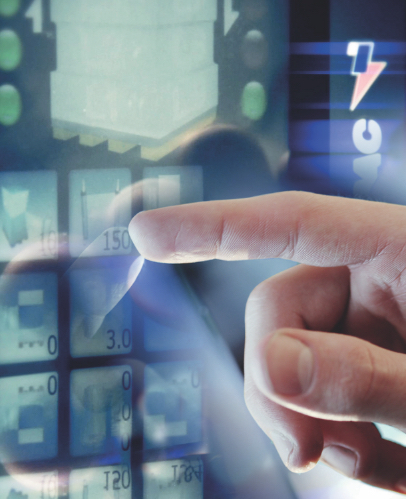 Once optimal wrapping parameters are configured lock them in with our new icon-driven touchscreen control panel. 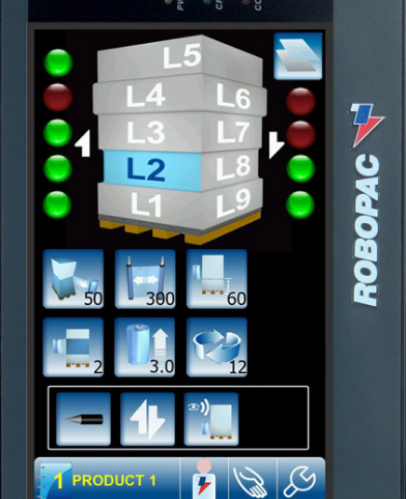 Save up to six (6) completely unique load configurations w/wrapping parameters to maximize operators’ time by allowing them to recall the various configurations quickly. Multi-Level Variable Pre-Stretch ensures the highest containment force & best film economy for EVERY load with ANY stretch film because you can adjust the prestretch up to 9 times on each load. With Multi-Level Variable Pre-Stretch CUBE Technology delivers 30-55% film savings over any competitor’s stretch wrapping system. Multi-Level Variable Containment Force delivers optimal containment force at each level of the load by allowing you to adjust containment force 9 times on each load. Pro-Active Corner Compensation combines the latest in motor & load cell technologies to enable you to wrap any load securely without corner damage and without repetitive film breaks. Strategic Film Placement allows you to place film exactly where it has the most impact on load stability and containment. Thousands of hours of testing in our labs have shown that placing film in the correct position, with optimal containment force is the key to being able to ship any product with less damage.